Wash Channa dal and soak for 2-3 hours. Wash and soak Urad dal and rice for 4-5 hrs. Grind both into fine paste along with salt, adding very little water.The batter should be thick. Pressure cook the channa dal. Then once the dal is well cooked, drain water and cook it along with the jaggary. Cook till dry and make a smooth paste in the mixer and grated coconut and mix it thoroughly and let it cool. 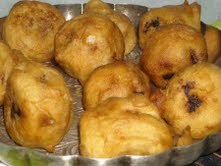 Heat oil in kadai ,once the oil is hot,then dip each ball in the Urad dal batter. Then drop them into the hot oil. Turn and cook on all sides. Drain them on to a tissue. The stuffing ball should be of size if tennis ball. The water in the channa dal should be almost dry then jaggery has to be added. Jaggery makes the dal watery once it starts cooking, so the water in the dal should be completely dry. This is Saritha and i blog at my kitchen's aroma and i live in Canada. 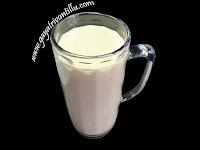 I was browsing your site and came to a page where there is option of sharing readers recipe. 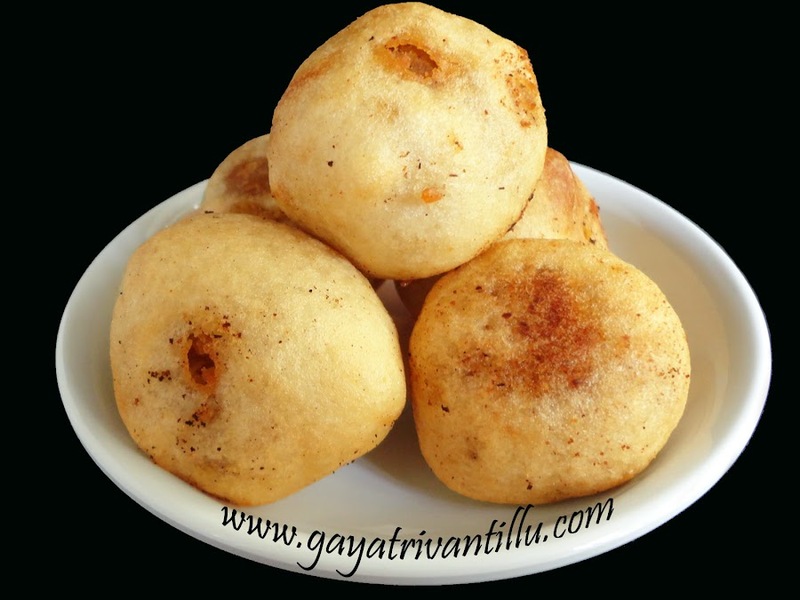 I wanted to share my mom recipe, this boorelu/purnalu is done at my house for every festival as we sisters used to like them a lot. I can never come close to my mom's taste but i always make them for the festivals. I am attaching the pic. Please get back to me should you have an queries.